How to secure PDF file after merging with A-PDF Merger? 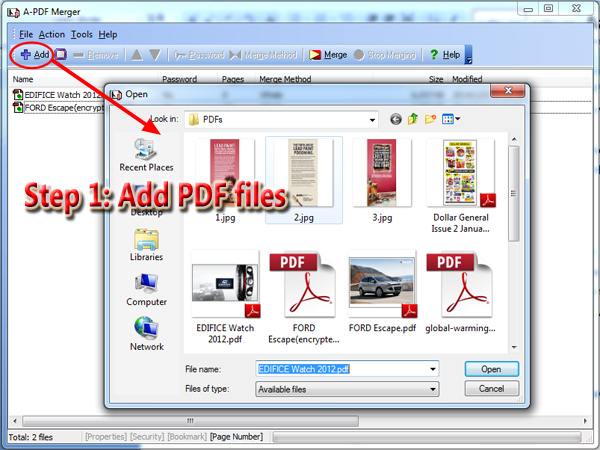 I know that you have a utility – A-PDF Merger which can merge a bundle of PDF files into one PDF. Now I want to add password to protect the merged PDF, does this software allow me to do so and how? Yes, A-PDF Merger allows you to add password to secure the merged PDF file. After you merge a set of Adobe PDF documents into a single PDF file, and before you output the merged file, you can set security for the PDF. You can add password to protect the merged PDF from unauthorized opening, set permission on changing, copying and printing. And below I will show you how to secure the PDF file after merging. After you start A-PDF Merger, click the "Add" button on the upper left to add PDF files. After you add PDF files, click "Tools" then select "Option" in the drop-down list, and you will see a pop-up window. 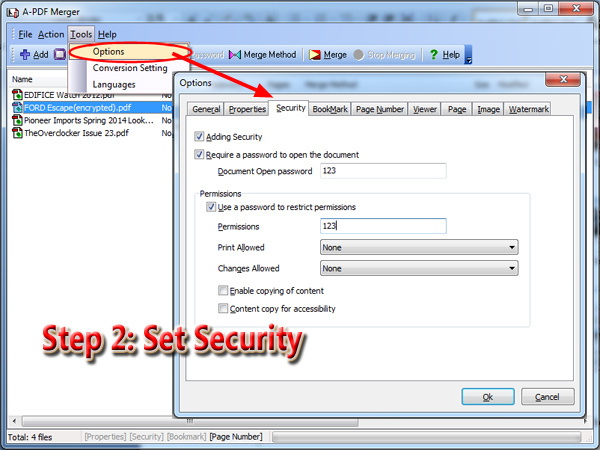 Click "Security" tab and add password to the PDF to restrict accessing, modifying, copying and printing. 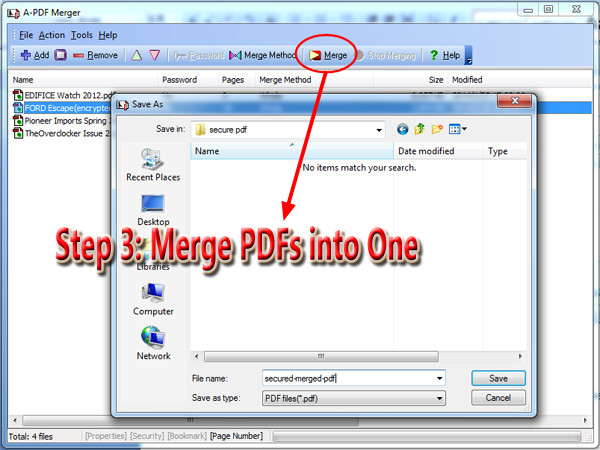 Click "Merge" and define file name and output path for the merged PDF file.